On Sunday, December 16, 2018, the world lost a beautiful soul. Leroy Moore, also known as the Mayor of Fells Point. Leroy was a staple in the Fells Point community for decades. If you lived or frequented the area, I find it hard to believe your paths didn't cross. Leroy was a kind and gentle spirit who was always just trying to make everyone smile and have a good time. He would help people any chance he could, from walking people home at night, to staying with bartenders and helping them close up, to giving you a rose to make you feel special on a bad day. I don’t know anyone who loved Fells Point more than Leroy did. Leroy fought a long and hard battle against lung cancer the past few years, he kept a positive and happy outlook until the end. Leroy has been a close friend of mind for years and has helped me in countless ways, he helped me become a more caring and open-minded human. I know alot of people loved Leroy and he helped them also. A lot of people have reached out to me over the past few months asking how they could help. If you have a few dollars and could help towards the cost of his funeral and any celebration of his life, I know his family would greatly appreciate it. 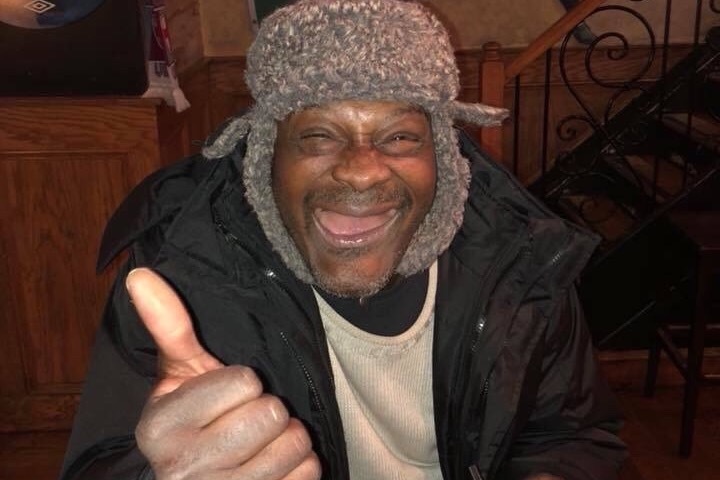 This community helped love and care for Leroy for decades, I find it only fitting to celebrate him and offer one more sign of love for Leroy by caring for his family now. Thank you. Hey guys, my name is Shannon Cosgrove, I was a close friend of Leroy’s for the past several years. Leroy was a beautiful person and helped me in so many ways. I want to thank everyone so much for donating to Leroy’s memorial fund. The support from this community has been so humbling and refreshing. It’s incredible to see how many lives he touched, I knew he knew a lot of people, but I truly feel like he crossed paths with so many people beyond comprehension. I helped organize Leroy’s funeral this week and it was a beautiful ceremony. Thank you to everyone who came and celebrated him. We raised enough money to cover in full the service he deserved. I will be withdrawing the funds to my account today to pay for it in full. Thank you again. We are organizing a memorial to take place in the square and to install a memorial of sorts. I’ll update you with a time and date!